Welcome to Bushikan Aikido, a practical approach to a traditional art. 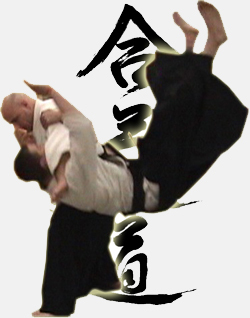 Bushikan Aikido offers a practical and functional martial art. Combining the beauty and elegance of Aikido with severe and functional technique, Bushikan Aikido has something to offer to any and all martial artists. Built upon the ancient art of Budo, and incorporating a system of deflections and precise movements, Bushikan Aikido provides a unique, effective and serious martial art for those seeking serious self defense. This foundation melds the old with the new; training in both traditional and modern day attacks. Attacks that include Shomenuchi and Yokomenuchi, all the way up to jabs, grabs and kick-punch and multiple-strike combinations. Bushikan Aikido trains you to control an opponent, using his strength and aggression against him. We train to avoid and deflect being hit, grabbed or pushed. Most importantly, we train to use these types of attacks against an aggressor. 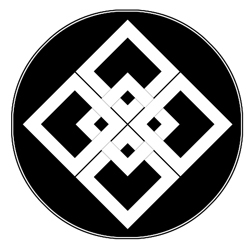 So contact us today and experience a unique and special martial art! Bushikan Aikido in Westford Ma acts as the Hombu Dojo for the Bushikan Aikido Kai, the organization that makes learning this revolutionary version of Aikido possible all over the world. Offering a unique Distance Learning Program, seminars, guest instructor classes and events, Bushikan Aikido has something to offer all students and dojos. Using a unique method of instruction, Bushikan Aikido breaks down techniques and movement into easy to understand concepts and steps. With proper practice these movements blend and smooth to become explosive, powerful techniques. Several dedicated students under this program have progressed to blackbelt level in as little as two years. Keep up to date with all Bushikan Aikido news, events and announcements by visiting our Facebook page. It is free to access and it does not require a Facebook account to visit, watch our videos, browse our photos or catch up on some of our news. So check often or just stick around and make some new friends. Click here to make the jump, or click the Facebook logo on the bottom of the page. We are minutes from Nashua, Tyngsboro, Lowell, Chelmsford, Westford and easily accessible from Manchester New Hampshire all the way to Boston. Anyone with the desire, can learn Aikido regardless of age, size, shape, strength or ailment. Learning Aikido simply requires showing up, we will take care of the rest. Bushikan Aikido has taken great care and effort to assemble a simple curriculum that breaks down the basics and ensures proper learning and advancement. We offer top quality instructors and instruction. We train in a safe, friendly atmosphere loaded with challenges and positive stress aimed at developing each student's confidence, core strength, flexibility, mobility and full potential. Training is available for all levels. By beginning with a solid foundation of core movements, deflections and techniques, students will develop discipline, self-confidence, self-control, self-reliance and the ability to protect themselves and their loved ones. While each student grows, the challenge and intensity increases to match their blossoming skill. Many people feel intimidated by the speed and power of Bushikan's Aikido. Our Aikido is a precision art that, with practice, can lead to some incredible results. Like a watching a master Yogi stretching and contorting in ways that look painful, yet elegant and wondrous at the same time. This is akin to the work between Bushikan's attackers and defenders. Proper instruction combined with precise technique and ukemi leads students down the path to speed and power. These skills are taught in an easy step by step method designed to make learning easy, but most importantly, fun and safe.